Absolutely Corporate Blog Which Type of Massage Will You Choose During Health and Wellness Day? When it comes to Corporate Massage options, there’s plenty of ways of bringing the relaxation and stress relief to your workplace, but often the question is, what will be the most effective type of massage to include, whether that’s to suit your busy workplace or provide something extra special. 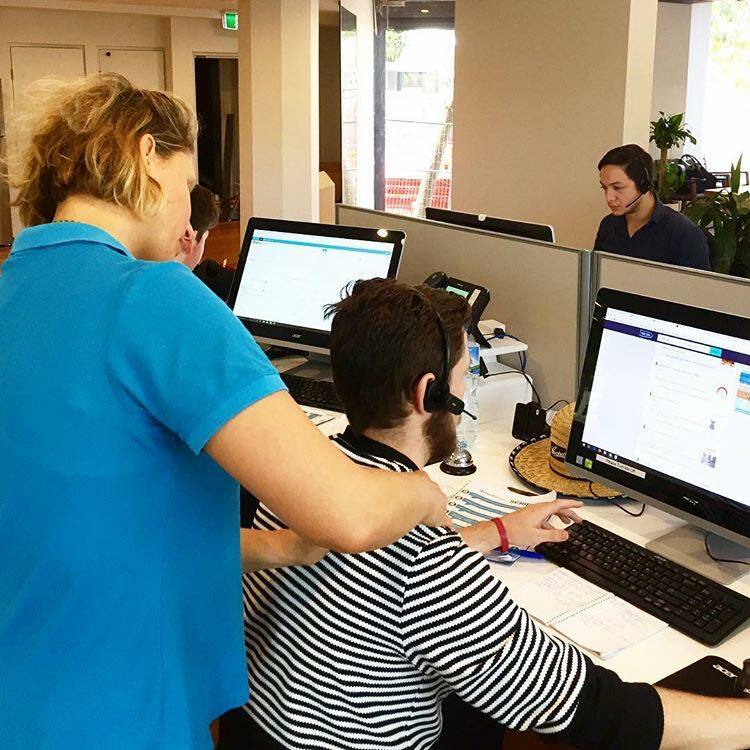 Roaming massage is a popular option for call centres and insurance companies where staff are seated at their workstation. Our therapists go from desk to desk providing neck, shoulder and upper back massage. Roaming massage usually runs from 5 to 20 minutes for each person, and are ideal for large workplaces. Seated massage is most popular option at workplace. Our massage therapists set up their special ergonomic massage chair or desk top positioner for the massages in a specified location. We ideally like you to book a small meeting or conference room. This ensures each employee gets their time out without any interruptions. We feel this is really important to ensure employees reap the full benefits of their massage and become more productive. This type of massage runs between 15 to 20 minutes and it’s suitable for regular bookings, as we always have the same therapists booked to a client. This ensures a client/therapist relationship which improves quality of care and higher satisfaction for the staff. They feel they get more out of a massage when the therapist knows their issues, concerns and needs. Your team will be treated to a neck, shoulder, arm, back massage and hand massage with our seated massage, and companies with a limited space can allocate just a single room where the therapists can work. 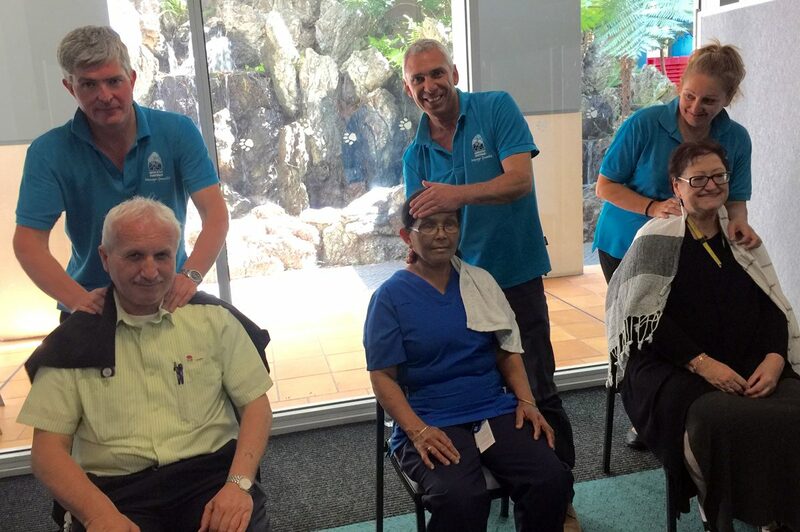 Our chair massage is suitable for an event with larger number of people to massages during a limited time. Chairs, without wheels, are provided by you and they are set up in a quiet place where employees can relax and enjoy their massage. We provide this type of massage during Health and Wellness days and Fairs most commonly. We allocate a number of massage therapists to suit your workplace size. 30 minute table massage is usually booked as a reward for the team after a big project. We provide massage tables, mellow music, towels and qualified and experienced massage therapists. Your staff will stay in their work wear and an area to set up is required. 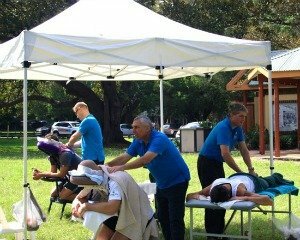 You can contact us on Facebook or via the Contact Us page to organise a massage program for your health and wellness day or to find out more. We also offer Corporate Fitness and Yoga, Meditation, and our Stress Management Courses.